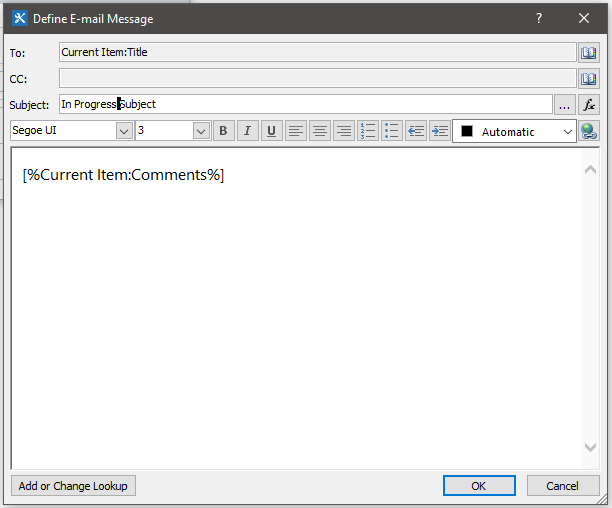 When the Status is selected to Complete I would like it to send an e-mail to the person under title and include the Comments in the e-mail body. When the Status is selected to In Progress I would like it to send and email to one specific person with the comments part of the email body. First off, welcome to the community. I have found this community an invaluable resource over many years and only recently decided to start contributing back. Hopefully you will feel the same. Obfuscate your co-workers' email addresses (in your example image) so that they don't get spammed/phished. (see the first image of this post). Third, You will need to have SharePoint Designer 2013 installed on your computer to perform the tasks to achieve what you are trying to do. it can be downloaded here. The Workflow and configuration below is a 2010 SharePoint Workflow that will run on 2013 (there are only a few differences between 2010 workflows and 2013) 2010 workflows are backwards compatible with 2013. I included images of the contents of the emails to expand - for clarity. 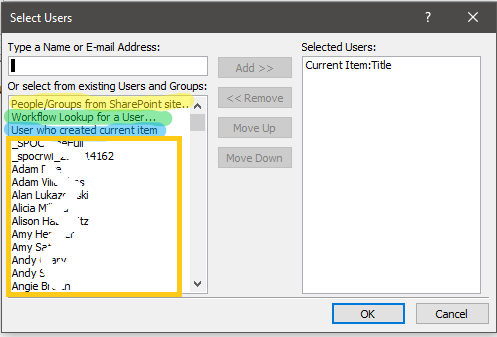 In order to get the title field into the "TO:" field of the email, you need to choose Workflow lookup and ensure that the fields in the popup menu are 'Current Item' and 'Title'. 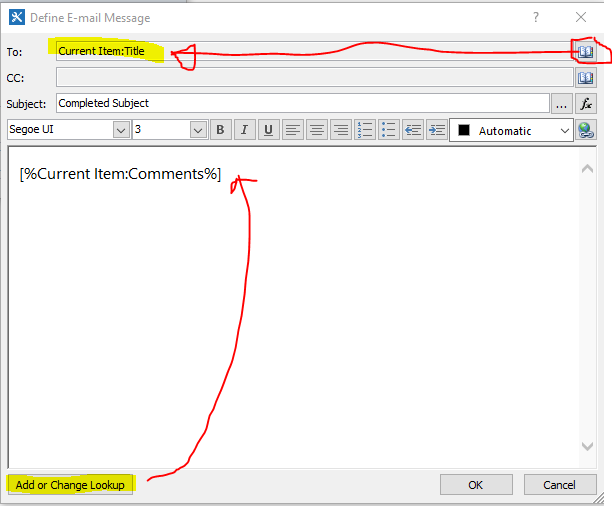 Also, to get the 'Comments' field into the email body Click on the 'Add or Change Lookup' and ensure the following two fields are selected in the popup: 'Current Item' and 'Comments' it will resemble the second and third pictures in this post. This is what your basic workflow should look like. Click the 'Save' button on the Ribbon. Then click the 'Publish' button <-- THIS IS CRITICAL otherwise this workflow will not run. 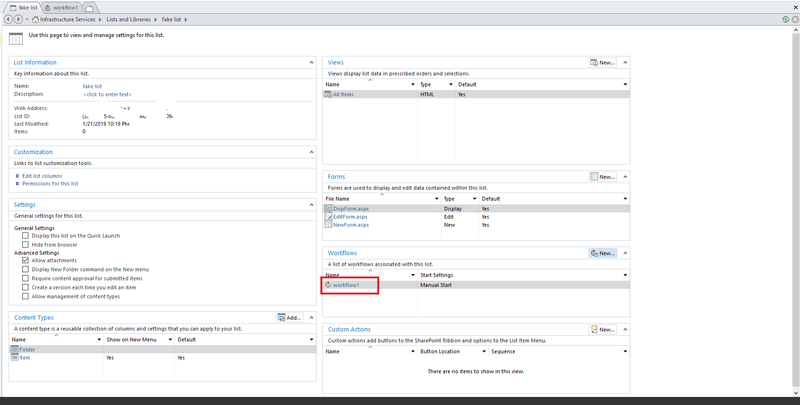 Then Ensure that the "Start Workflow Automatically When Item Is Changed" checkbox is checked - As in the image Below. After checking the checkbox, either hold CTRL and press S or click 'Save' in the Ribbon to commit these changes.